“In 1970, when pop-folk chanteuse Jackie DeShannon departed from Liberty Records, her frustration with the label was evident. They viewed her as more of a singer-songwriter than a performing-recording artist. It was as if she signed a contract solely to write hit tunes for others. She turned to Van Morrison for advice. He urged her to find another label. He was also instrumental in convincing her to go with another producer. He had one in mind. Himself! DeShannon signed a deal with a new label, Atlantic, and this led her directly to Morrison. With legendary producers Jerry Wexler, Tom Dowd and Arif Mardin mapping out her next musical venture, DeShannon began recording cover songs that matched her style. A version of Neil Young’s “Only Love Can Break Your Heart” is replete with an accordion backdrop. Another song selected to bring DeShannon back was Van’s “I Wanna Roo You.” The Atlantic Record brain trust didn’t feel comfortable producing a Morrison tune, so they asked the Belfast Cowboy to come aboard. It was a golden opportunity. It also began a musical friendship that was beneficial both performers. Morrison’s production was so good; she paid him back by appearing as a back-up singer. As she sang backup on selected songs from Van’s Hard Nose the Highway album, he schooled her on his production techniques. Eventually, DeShannon convinced Atlantic to allow Morrison to produce her album. Somewhere in the murky business transactions the album was lost. When it was finally released in 2003 the Jackie…Plus LP was a strong effort. There is also a DeShannon 45, written by Morrison, “Sweet Sixteen” that attests to Morrison’s production genius. What did Morrison offer DeShannon? It was his lyrical magic that drew her to the Belfast Cowboy. She was an accomplished songwriter hoping to move into a new direction. Her lyrics were every bit as good as Morrison’s. The difference was in themes. She recognized that complex thought that went into Van’s songwriting. It was unique. Her pop songs lacked the depth of Van’s and she recognized that in a decade with Liberty she was no longer a pop princess. She was looking for a new musical life. She found it temporarily with Morrison. When Liberty released the Splendor In The Grass album she was furious. The songs were little more than demos with her back band, the Byrds, providing little in the way of a finished product. She signed for two years and that didn’t work out. Her Capitol album, Songs, had no impact. After one album and two singles DeShannon left Capitol. She signed with Atlantic and this created the Van Morrison interlude. The lyrics she hoped for flowed from Van’s pen. The lyrics to “Sweet Sixteen,” offer insight into Morrison. He sings of a vision of a young girl at sweet sixteen and his love for her. It was a highly commercial song with a theme of unrequited love. Not exactly what one would expect from Van, and that is why it is so special. 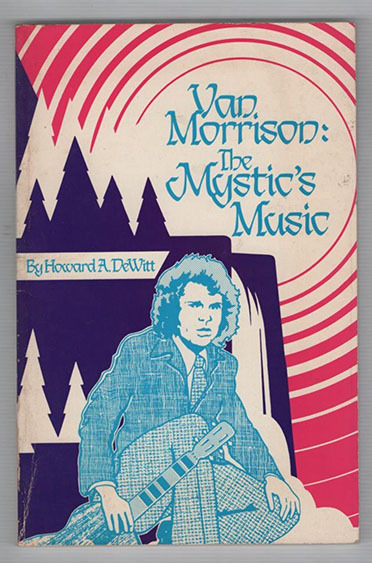 The album Morrison and DeShannon collaborated on remained in the Atlantic archives for almost thirty years. In 1973 a DeShannon single “Sweet Sixteen” backed with “Speak Out To Me” (Atlantic 2919) was released to tepid sales. Warner Brothers threatened to sue if Atlantic released the record. So a limited edition was pirated in the marketplace. Mo Ostin was the culprit behind this decision. Finally, three decades later the album appeared. This experience with Atlantic was one Morrison found distasteful. Tom Dowd produced the b-side to “Sweet Sixteen” which was “Speak Out To Me.” This did not sit well with the Belfast Cowboy. When the Jackie…Plus LP finally was released, Rolling Stone called it one of the best reissues of 2003. The main reason that this Jackie…Plus album was so good was her choice of songs. She not only had the Morrison tunes but also John Prine’s “Paradise” and Alice Stuart’s “Full Time Woman.” These were cover tunes that were made for her voice. But it was the six-minute plus song “Laid Back Days” that the critics loved. Using the American Sound Studios in Memphis, Morrison brought out the best in DeShannon’s sultry vocals. The Rhino Handmade reissue of the material from 1972/1973 featured ten unreleased songs of which four were Morrison’s “Sweet Sixteen,” “Flamingos Fly,” “Santa Fe” and “The Wonder of You.” The album also included a cover of Morrison’s “I Wanna Roo You.” The release of “Sweet Sixteen” as a DeShannon single indicated Van’s commercial production techniques. The interest in the Morrison songs and other lost DeShannon recordings prompted the label in 2015 to release Jackie DeShannon: All The Love, The Lost Recordings. The four Morrison cuts were listed as bonus tracks. When DeShannon looks back on these songs she is unhappy. Much like Morrison, she despised an industry refusing to showcase her multiple talents. When Van played at the Los Angeles Troubadour, DeShannon opened for him with the Caledonia Soul Orchestra backing her. At the time Morrison’s manager, Ron Gibson, told the press that a join tour was planned. He also talked of a duets album. Nothing materialized. Jackie DeShannon: “I think it was all out of my hands.” It was! Blame Atlantic and Warner. They were like kids fighting over the spoils. DeShannon and Morrison were disgusted. But it was the music business. What could they do? They also wrote a number of songs together and “Santa Fe” remains the best of the lot. 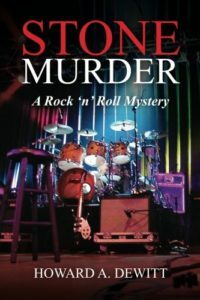 The lyrics to “Santa Fe” suggest that Van had taken the train to this trendy New Mexico town and had imbibed the wine and eaten the food. But he concludes it is nothing that he needs. It is a song of isolation and lost love. It is also a tune of rejection. When Morrison wrote “Santa Fe,” he acknowledged his failing marriage. The Jackie DeShannon sessions suggest a great deal about Van’s excellent production skills. He was now in a production vein and the Jackie DeShannon sessions were extraordinary ones. Musicians have their code of ethics, their sense of what is commercial and their feel for what they should play or record. Jackie DeShannon was a pop chanteuse who recognized Van’s production skill. For those who weren’t sure of Van’s production techniques, the DeShannon sessions demonstrated the breadth and width of his talent. After more than a decade in the recording business, DeShannon signed with Atlantic Records. For much of 1972/1973, she was in touch with Van. Her time at Atlantic brought some commercial pitfalls. She recorded “Drift Away” which Atlantic ignored and Dobie Gray had a hit with it. DeShannon was also in ill health at the time. She was thin and looking haggard. Despite her problems, she was eager to get into the studio with a producer who could bring her another elusive hit. When DeShannon and Morrison met, she was interested in his songwriting. Although she was an accomplished songwriter, her ability to write hit records for herself was dismal. Consequently, she convinced Morrison to compose a song that would place her on the charts. The Jackie DeShannon interlude remains a mysterious side of Morrison’s career. It was all about music, nothing else. As a singer-songwriter in 1971 DeShannon hit the charts with “I Don’t Need You Anymore” and her career at twenty-seven appeared once again on the rise. She previously had a major hit with “What the World Needs Now Is Love” and “When You Walk In the Room” and she had toured with the Beatles. While silly rumors of a romance with Van surfaced, DeShannon and her future husband Randy Edelman were engaged in a lengthy courtship. She eventually married Edelman on June 3, 1976 and his career as movie soundtrack writer has eclipsed hers. Their marriage however has lasted and is strong today. When Van invited DeShannon to sing background on his albums, he unwittingly influenced the gossipmongers. Van was quiet but pissed; the rumors accentuated his bitterness toward the media. The Jackie DeShannon interlude is an unexplainable part of Morrison’s career. It is really rather simple. She was a folk-rock-lyrical genius blending her self-penned classics “When You Walk In The Room” and “Put A Little Love In Your Heart” into Top 40 hits. She was more of a songwriter than a performer. When I saw her perform there was magic but, like Van, she didn’t care for the spotlight. Jackie DeShannon: “I’d write all week, then on Friday I’d pop upstairs in Liberty’s little studio above the publishing office and arrange and produce my demos.” She brought Glenn Campbell, Leon Russell, Hal Blaine and James Burton in to help her cut demos that quickly were released as chart friendly 45s. And just listen to the night. Van is commenting on the torturous days his marriage ended. It is a song of forgiveness in which Van repeatedly sings “spare me a little.” Janet didn’t. He never forgave her. How does one conclude the Jackie DeShannon interlude? It is much like his other partnerships. The meeting of the minds musically produced DeShannon’s cover of “And It Stoned Me.” Jackie had another thing in common with Morrison. Her record companies ignored her best efforts. “They didn’t know what to do with me, because I could do everything,” DeShannon continued. “I came up at a time when marketing for an artist like myself was not even in its infancy, it didn’t exist.” This is why Morrison loved working with DeShannon. She was a soul partner ignored by Liberty and Capitol Records. Just like Van she had her gripes about the industry.